Water features have been used in outdoor spaces for many years. They provide a beautiful point of interest that undoubtedly adds something special to the overall look of an external space. For homeowners and business owners with a landscape, the addition of a water feature to your outdoor space is a sign that you want the space to look, and feel, as good as it possibly can. A water feature alone can’t make an outdoor space beautiful, but it can be the essential finishing touch that achieves overall perfection. Waterfalls– As the name suggests, waterfall water features seek to mimic a naturally-formed waterfall on a smaller scale. Waterfalls can be large or small depending on the space you have available. Both the size of the construction and the size of the fall itself, are highly variable. 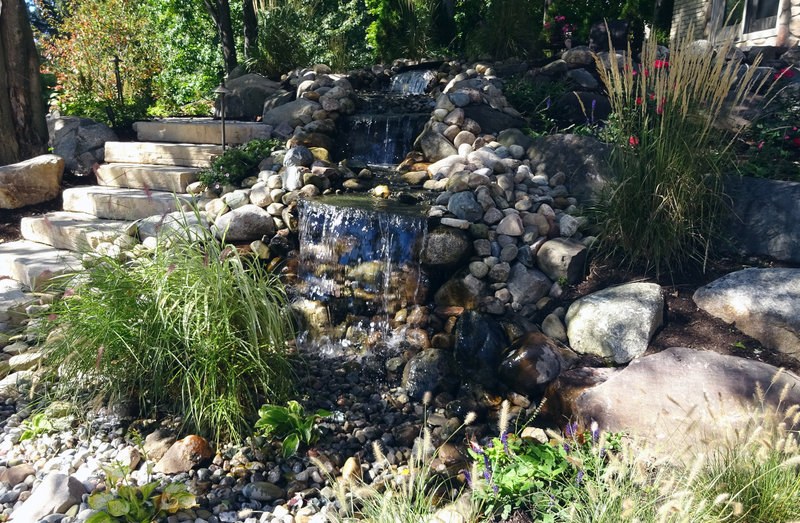 Water Gardens– Water gardens are a fantastic choice if you want to add a water feature to your home but still want to be able to ‘garden’ in the chosen space. Water gardens are specifically designed for the growth and nurturing of aquatic plants. This can add an extra dimension to your overall gardening experience. Ponds– Finally, the classic water feature: the pond. Ponds can be used as decorative points of interest, or be formulated to create a wildlife pond. The latter is beneficial to the local ecosystem. Whichever you choose, the popularity of ponds is eternal, and your garden would no doubt benefit from such an addition. In the vast majority of cases, one of the water feature options above is sure to meet your needs. Making the final decision is always going to be difficult. One of the most important things to remember is that all three of these options are highly customizable to suit your specific preferences. There’s no way of saying that you should choose one type of water feature over another because these features are incredibly distinctive in and of themselves. You could have a huge pond large enough to rival the size of a tennis court or a small circular pond that you could step over without too much of a stretch. Waterfalls, too, can be huge installations or small, delicate affairs that are freestanding; even water gardens can vary in size and depth. One of the major benefits of these water features is that they are able to be adapted to suit your needs, preferences, and your budget. You may not be sure about which option may work for the space you have available. If so, then this is genuinely a time when you can let your imagination run wild. 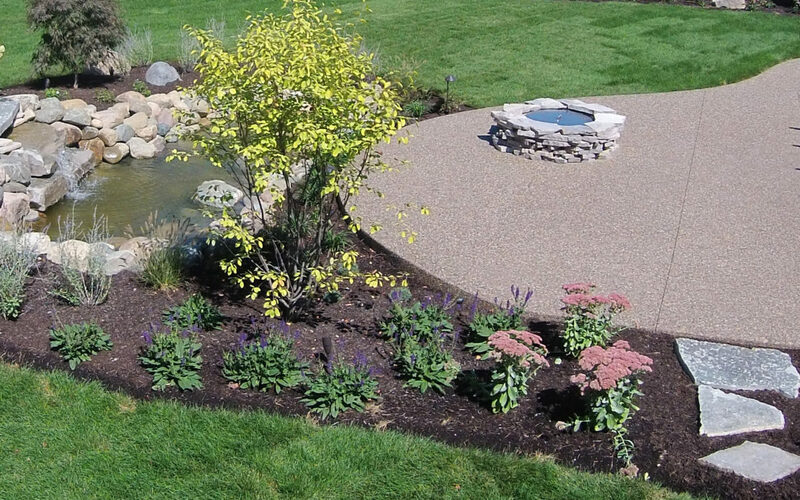 You can custom-create the perfect water feature for your preferences. With the help of a company equipped to design and build water features, you can see your dream turn to reality as soon as you wish!